We carry a rotating selection of column packages, balloon sets for columns, and complete column kits. Check back often for new kits! Column Packages There are 3 products. The Santa Column Complete Kit comes with all the equipment and balloons you need to create an entire Santa balloon column. Inflator included! Already own one of our column kits? 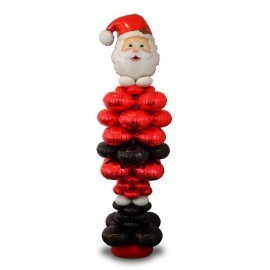 Just add our Santa Balloon Package Set to create your very own Santa balloon column! Already have one of our arch or column kits? 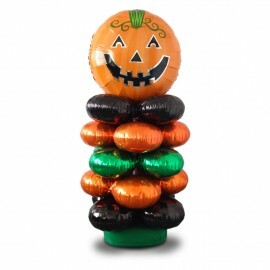 With this special holiday balloon package, you can create a 5-foot tall Halloween Pumpkin! Dual-Action Balloon Hand Pump included!